On the Eleventh day of Pro Kabaddi League season, six first match of the day was Haryana Steelers vs Dabang Delhi. Both teams won only one match in this season, Dabang had one tie and on opposite Haryana, Steelers lost 5 matches. Dabang Delhi played two matches while Haryana Steelers played six-match till now. Dabang Delhi won the toss and selected choice of court. Haryana’s Monu Goyat in his first raid with bonus point opened score table. At halftime score 14-16 on the table, Dabang Delhi leads the match with 2 points. An Unsuccessful raid from Pawan and with this raid Dabang Delhi was all out with score 23-20 on the table. As Dabang Delhi can’t manage to convert halftime 2 points lead to win, Haryana Steelers set the mark for winning path with 3 point lead and score 34-31 on the table. Monu Goyat as a strong player helps Haryana to achieve this win. Both teams have one loss and one tie in their account but Puneri Paltan has 2 wins in their account. Gujarat Fortunegiants only played 2 matches without any win. 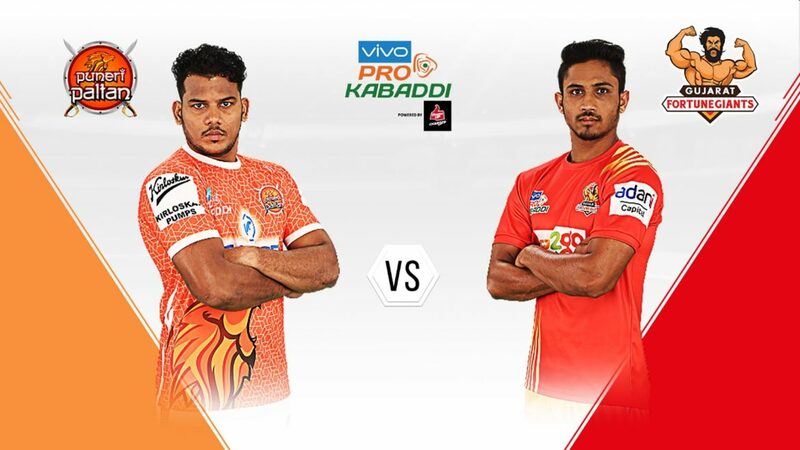 Puneri Paltan won the toss and selected the choice of court. In four-minute Gujarat Fortunegiants with 4 point score opened their account. At halftime with equal point 15-15 both Paltan and Gujarat were fighting with full effort. A successful raid from Sachin and with this Puneri Paltan was all out in their first home match with score 20-25 on the table. Gujarat Fortunegiants win the match with 6 point lead against Puneri Paltan with score 34-28 on the table. Sejal Rathi has been working in as a free-form writer from the last 5 years. Begun with outsourcing in the year 2015 in the wake of getting confirmed as a BBA Finance graduate from Calcutta University. From outsourcing to a full-time content-writer her voyage has been loaded up with adventures, thrill, and edifications. An independent wordsmith and co-founder at TimesLifestyle and Healthzest is all prepped to unleash her apprehensions. Donald Trump says: “India is the tariff king”! Is it true?